If your organization utilizes Zebra Printers, it likely needs Zebra labels. Tri-State Business Systems LLC is not only a provider of Zebra Labels for Pennsylvania, New York and New Jersey, but we have grown to serve the entire United States. In fact, we are a provider of bar codes labels for most popular brands of printers including Zebra Printers. Why should you make the switch to Tri-State Business Systems? First of all, we are a supplier of barcode printers, software, data collection equipment and labeling supplies. We are your one-stop shop when it comes to printers and labeling supplies. We supply equipment and barcode printing materials to multiple Fortune 500 and Fortune 1000 companies who have come to rely on our quality, brand name products and superior service. We work with manufacturers, distributors, retail establishments, schools, and anyone needing barcode supplies! 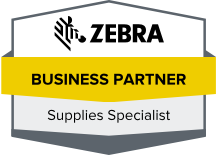 When it comes to Zebra Printers and supplies, we excel! 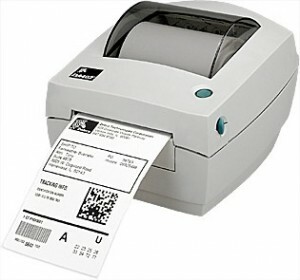 We have a large selection and inventory of thermal and direct barcode labels. We offer a wide assortment of thermal ribbons to fit a variety of printers and brand names. We offer both Zebra and Datamax printers to suit your specific needs. We feature a wide-range of barcode scanners to help companies better manage their inventories. If your company utilizes bar codes to identify products, we want to be your equipment, software, and printing supplier. Now, there is no reason to hunt all over for Zebra printers and Zebra printer labels. Contact us and you’ll get a great selection and terrific prices all in one convenient online location with Tri-State Business Systems. Place your first order today! Once you experience our quick, affordable convenient services, we think you will be back time and time again. Discover what so many businesses and organizations have already discovered. TSBS is the one-stop solution to your barcode supply and equipment needs. We look forward to helping your business!